I used to have a much higher tolerance for clutter. When I started this journey 5+ years ago, I decluttered and felt great. But as time went on and as the years went on, my threshold for what I think is cluttered has changed. In the kitchen when I first started decluttering, I had many of the usual things on my counter: the coffee maker, knife block, fruit bowl, stand mixer, container for large utensils, butter, cutting boards, paper towel holder, dish drying rack (we do not have a dishwasher), and usually some type of water bottle. Over time, things started to put in other places, hidden away. Now we only have the coffee maker & coffee canister, an occasion fruit bowl and the paper towel holder. All other items I have managed to find new homes for. And I swear I didn't just shove them somewhere to be out of my site. Now when I am in my kitchen, it feels so relaxing and clutter free. As I am writing this, I still think they have way too much stuff on them, but man what a change from several years ago. We used to keep lots of toys on these shelves. but because I was decluttering and simplifying, I would put them into baskets so you wouldn't see them all. It might have helped, a little. I also used to have pictures and knickknacks on each shelf. I don't think there were a ton, but by my standards now, there was a lot. Over the years, each shelf has become more and more clutter free. The ultimate goal is to just get rid of them. I still use these as a place to put things that I don't want to get rid of but I can't decide where to put them. They can easily become a dumping ground and it is hard to keep up at times. I find I have to declutter them quite often because my threshold for clutter has decreased. I don't have a "capsule wardrobe" per se. I haven't done the 33 challenge. I do, however, have many less clothes than in the past. But when I frist started decluttering I got rid of many many clothes and felt great. My closet was pared down, and my drawers were neat. As the years went on though, I realize that having enough space to fit all my clothes was still too much. I knew in each drawer there were items shoved in the back that were just-in-caseies. There were shoes I was keeping cause I like them yet never found a reason to wear them in the last 3 years. There were clothes too small that I was holding on too for a different body. There were things I as keeping because I had the space. But now, even though I have the sace, I do not want it filled. I know I can live with less and be happy. I don't need every inch of my dresser drawers filled with clothes simply because I can fit them in. I want space in my closet and dresser for the clothes to breathe and to eventually get rid of the clunky over-sized furniture. I want simple furniture that is more streamlined. We have a small kitchen and simply cannot fit everything in it. We have some larger pots and pans and baking dishes that we use several times a year that just really will not fit in our kitchen. So our kitchen items have spilled down to the basement. The basement kitchen closet is actually quite large with 4 long and deep shelves. It can hold a lot! And man, 6-7 years ago it had so much stuff. Not only our own things, but many many hand-me-down items from my MIL, mother, and grandma. 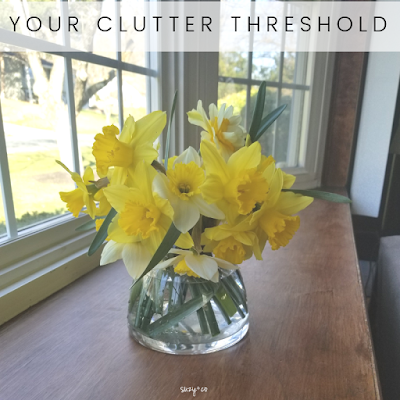 So when I started my simplicity journey , I easily got rid of so many things and that closet looked decluttered and happy. I was happy. Yet, over the years, I have realized I still had items that were unnecessary. Things that simply did not get used, even with the once or twice a year big family get together with over 15 people. Those things I thought I "might" need at some point, never came up. This closet is another that looks different today than when I first decluttered and even still looks way too packed for my liking. As you begin to declutter, live with less, and simplify, you will notice that you need less to be happy, you use less than you believe, and you don't miss the things you thought you might. 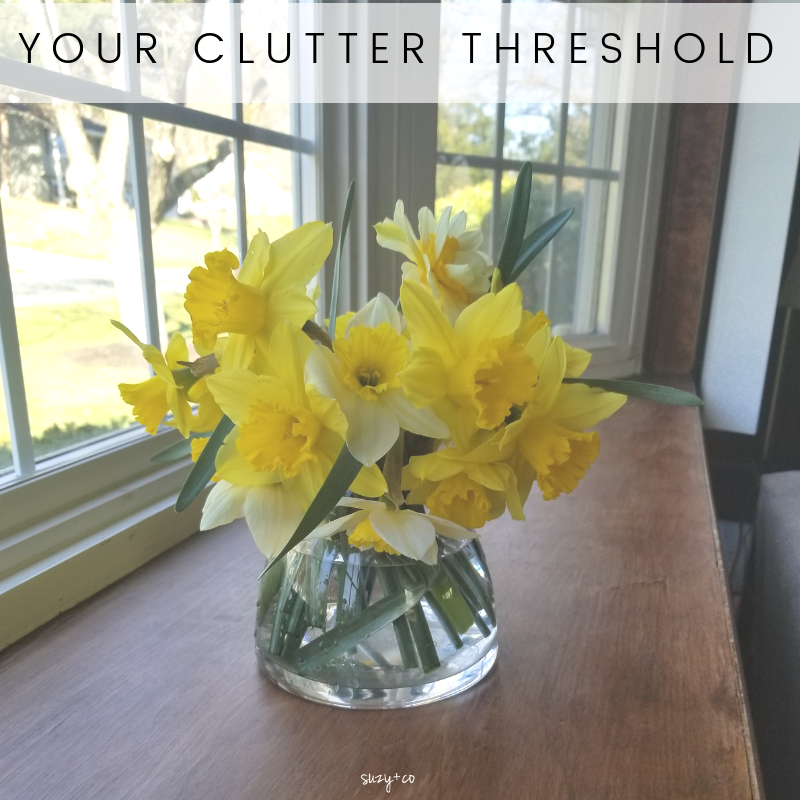 A room or shelf or area that looks clean and organized one year, will begin to look stuffed with things you no longer need the next year. I have found this to be true. I now look at my kitchen counter and think, why didn't I have it this way all along? I look at my shelves and think, how did that not seem cluttered before? Why did I wait so long to get rid of item X or Y or Z? It is a learning process that has phases and seasons. I find the longer you are on a path to simple living, the easier it becomes. So in the beginning you tend to hold on to more things that you are unsure of. You justify more items that might come in handy one day. You have a harder time parting with gifts and sentimental things. But as time goes on, the process is more natural and you begin to realize that you can be comfortable and actually happier with much less than you at one time thought. 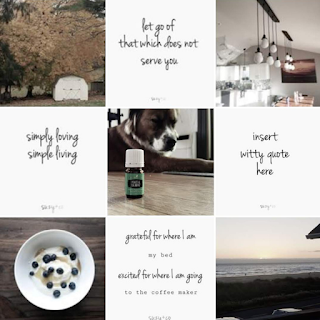 Don't miss all my tips on decluttering + simple living.